We value the natural beauty of this city in which we work, play and live. This is why we greatly recognize the importance of supporting our local community in every aspect. We continually strive to participate in as many community projects and events as possible. It is our goal to preserve and enhance our community’s environment and aesthetic every day. 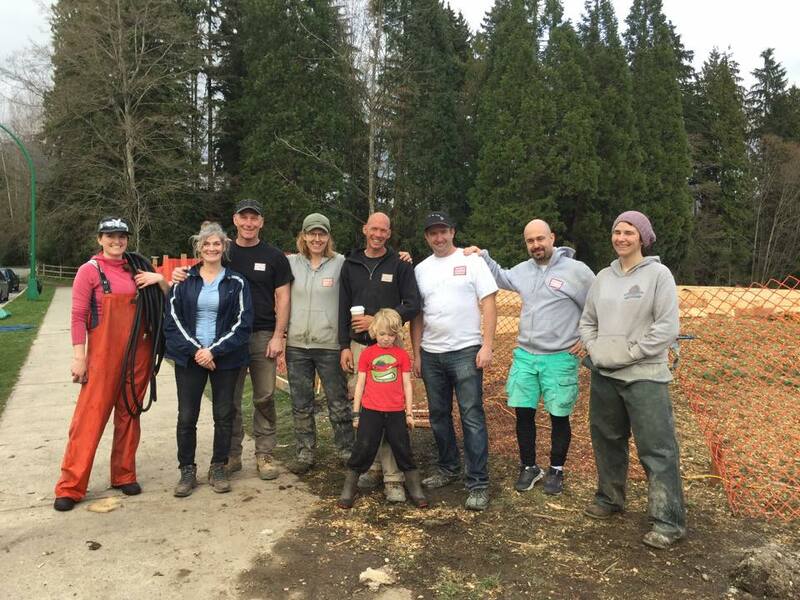 Our hard working team is very proud to have volunteered the equipment and the expertise required to help build the Schoolyard Market Garden at Sutherland Secondary. The North Shore Neighbourhood House’s Edible Garden Project is developing the Schoolyard Market as an innovative outdoor classroom in order to revitalize under-used school lands. Teachers and students will use the garden as a classroom, and the community will be invited in to volunteer and learn. This market garden is intended to sell thousands of pounds of fresh produce, demonstrate organic farming practices, create green-collar jobs on the North Shore, and provide an engaging outdoor classroom for students and teachers. Heather Pelz, Landscape Designer with The Great Canadian Landscaping Comany designed the garden with drought resistant and bee-attracting plants that beautify the area as well as provide critical habitat for native bees. 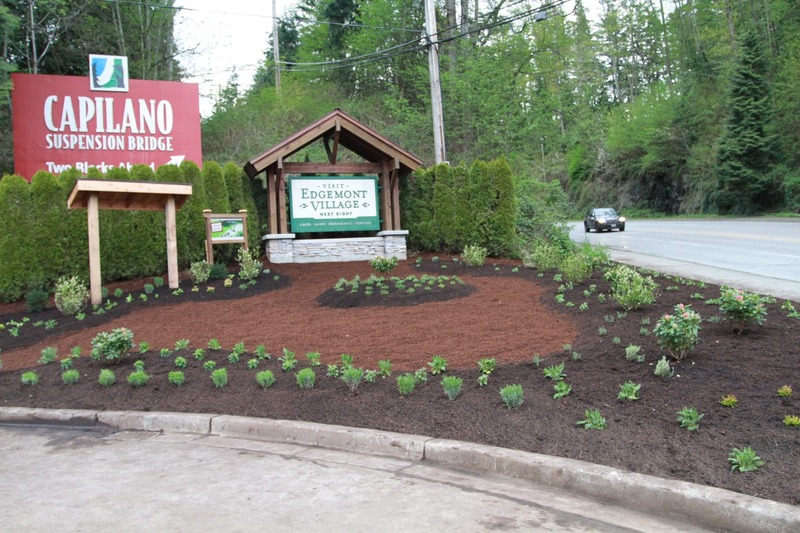 The Great Canadian Landscaping Company Ltd. would like to thank all of the community partners involved in the project, including the District of North Vancouver, Maple Leaf Garden Centre, Bee Friendly, Native Bee Conservation Society, Adopt-a-Street, Headwater Management, Little Pickers and the Edgemont Business Association. 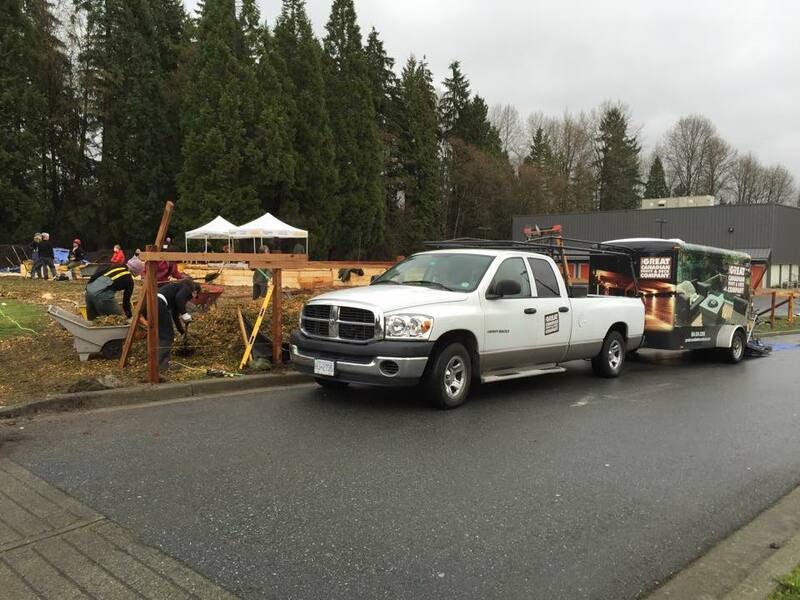 The Great Canadian Landscaping Company Ltd. volunteered to revamp St. Catherine’s Church Playground. 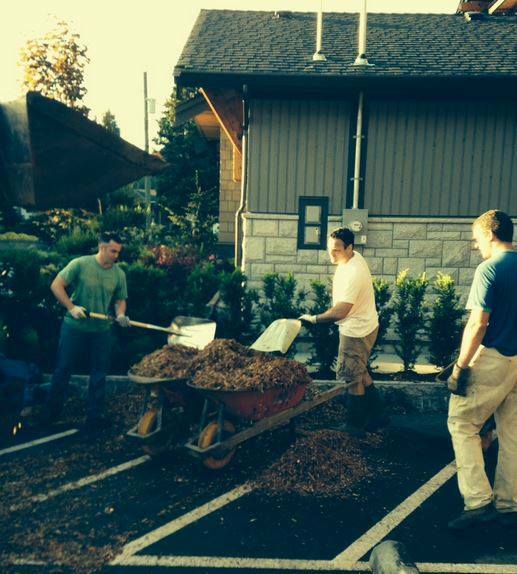 We donated a large amount of mulch and the equipment required to get the job done. 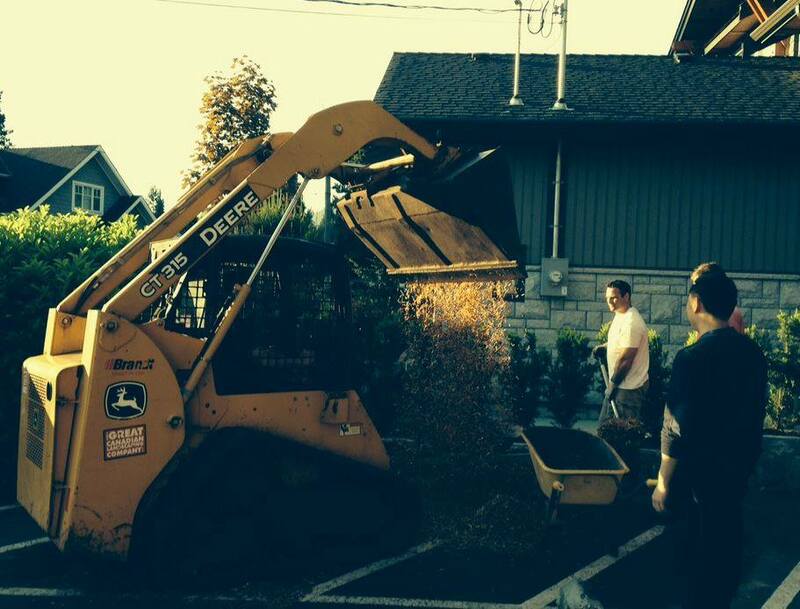 A huge thank you to the Dads’ who moved 10 yards of engineered playground mulch from the truck to the kids playground for St. Catherine’s Childcare Society in just 45 minutes!